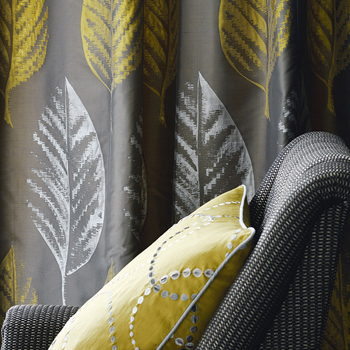 As the name suggests, The Curtain Room are specialists in producing high quality Curtains. 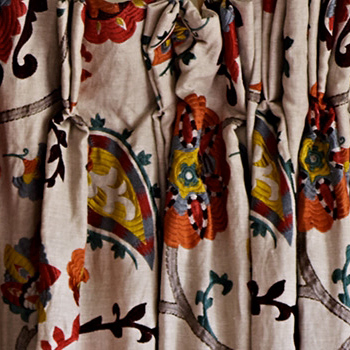 Our reputation for quality is founded on more than 20 years of hand made Curtain production. From our extensive range of inspiring fabrics we are able to produce any style of hand made heading you can imagine, including Goblet, French Pleat, Eyelet and Pencil Pleat, as well as an extensive range of variations of each theme. 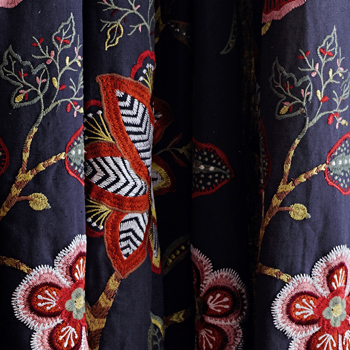 Our Curtains are hand stitched to ensure a perfect finish every time, using our range of interlinings and linings we are able to produce the exact look and feel you desire. We also stock a comprehensive range of braids, trims and beads for those luxurious finishing touches. We offer a full range of tracks, poles and accessories such as tie backs to finish off the look and coordinate with your room and colour scheme. Have you ever thought about using Italian Stringing? Why not use our interior design service to bring together your ideas into your own unique window dressings with the perfect look?